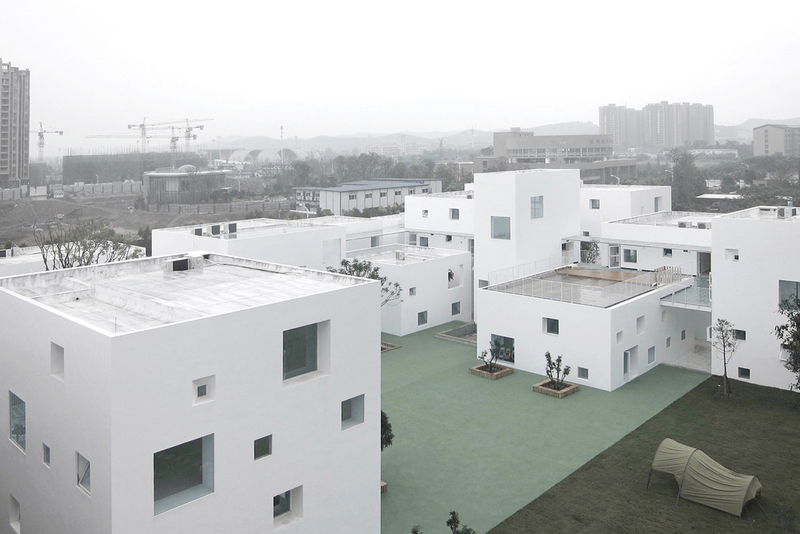 The project aims to create a city for the kids in this kindergarten, providing various scales of buildings, doors and windows for children to multiply their experiences and perceptions of their context. At the same time, we try to blur or even eliminate the boundary between interior and exterior with a free form. 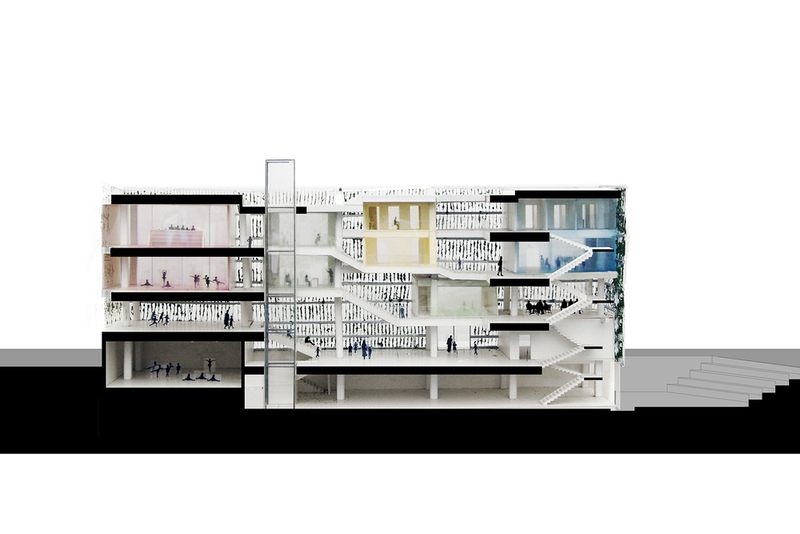 Thus, the design is conceived with a welcoming scale scheme, which resolves the spatial requirement of 18 classes into a series of small buildings, generating streets, plazas and gardens in between. The special design of windows and doors of the kindergarten, which are abstractions of symbolic elements exterior, are actually created to accommodate kids' various activities in different scales, such as reading, playing or resting. As a part of this project, the art school provides art training for children. 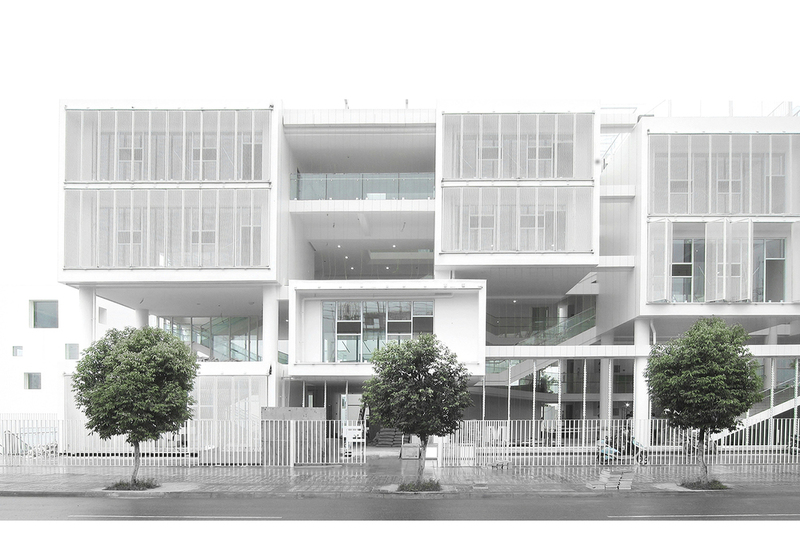 The architecture is organized in a way of void-solid intersection. The solid volumes are classrooms with different programs. These floating blocks stagger spatially, leaving a void between them for public space, circulation and exhibition. The staggered classroom blocks, like many windows showing art activity to the city, together with the green wall, provides a unique effect on the facades. At night, the classroom blocks become bright while the lights go through the semi-transparent facade, showing the inner activities to the outside. Floor area: 7565 sq. m.